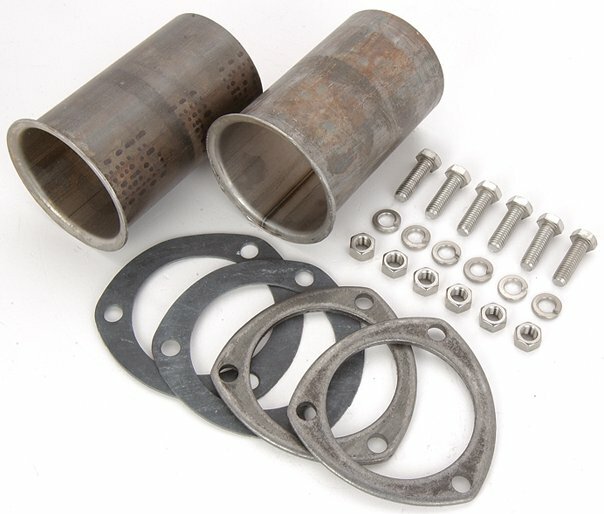 To adapt 3-bolt header collectors to exhaust pipes for street use, Bolt-On Collector Reducers are 16 gauge stainless or 16 gauge mild steel in OD or ID configurations with optional O2 fittings. Sold 2/pkg. 30021 - JEGS Bolt-On Collector Reducers is rated 4.5 out of 5 by 2. Rated 5 out of 5 by Dan1 from Collector/Reducers I have not used these yet, but they seem to be of good quality and fit. Rated 4 out of 5 by chewy1010 from Good value These collector reducers are made of good quality stainless and the flanges are thick and really heavy duty. One collector was slightly out of round which caused me much grief when trying to fit up my exhaust system. Otherwise they are collector reducers and I won't hesitate to buy them again should the need arise. This flange is 1/4&quot; thick and the collector tube is stainless, the flange and the bolts are regular steel.